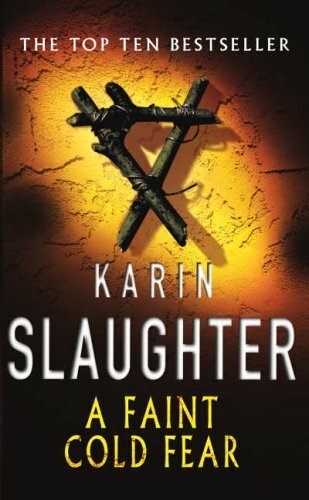 Fast-paced Unnerving Crime Fiction novel which features a Medical Examiner named Sara Linton, who is called out to an apparent suicide at the local college where she finds that the mutilated body provides little in the way of clues. Meanwhile the college Authorities seem very keen to avoid a scandal. However for Sara and her colleague Jeffrey Tolliver something just doesn’t seem right. I am about to start reading another exciting Suspense thriller by James Patterson. This Features a Columbia Law Student named Jack Muller, wwho journeys to East Hampshire, and on arrival suspects that something is very wrong – and is proved correct when he discovers that his kid brother Peter lies dead in a morgue, with the Police calling his drowning an accident. 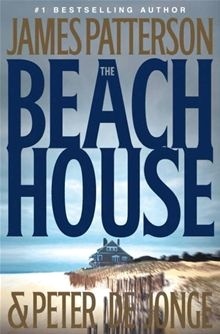 However Jack is convinced otherwise and sets out to uncover what really happened on the beach that night. However all he uncovers is a wall of silence and many shadowy figures protecting the wealthy residents who live there, but When a sizeable amount of money is discoved in Peter’s pocket, Jack begins to suspect that there may be far more to his brother’s demise than meets the eye. I’ve been a big fan of Paul Simon’s since his Simon & Garfunkel days. His latest album is released on 13th June and is entitled “So Beautiful or So What” If you liked Graceland, as I do, you will like this, it has touches of African music on many of the songs, as well as rhythm & Blues, slow ballads, up-tempo Folky style numbers and downbeat reflective numbers. I’ve managed to hear some of the tunes on YouTube and I think the album sounds absolutely brilliant so would really like to get it. Camping has built a multi-million-dollar non-profit ministry based on this apocalyptic prediction. He also predicted ‘the rapture’ date once before in 1994 but said this earlier apocalyptic prediction didn’t come true because of a mathematical error. Harold Camping’s homemade mathematical formula for the apocalypse works like this. He bases it on a verse in Chapter 2 of Peter verse 3:8, which says that one day is like a thousand years and a thousand years is like one day to God. Elsewhere it is said that there will be seven thousand years between Noah’s flood and the end of the world. by this reckoning, the seven days translates to 7,000 years. And 4990 plus 2011, minus one because there was no year ‘0’, equals 7,000 years. The date of May 21 has been derived from complex mathematical formula made up from numbers that appear repeatedly in the Bible. He predicted that “before the age of the new millennium, the third anti-Christ will awaken, The King of Terror, King Mongol”. His predictions mention that wars, plagues, and natural disasters were going to start raiding through the world, causing mass destruction. The ancient Mayan Civilisation in South America also predicted that the world would end on December 21st 2012. This date was reached because the Mayan calendar ends on the Gregorian calendar date of December 21, 2012. Most people believe it is the total end of civilization, as we know it. It marks the point when The Sun will conjunct the intersection of the Milky Way in the ecliptic, giving us a view of what the Mayans called the Sacred Tree or Tree of Life. However this does not necessarily mark the end of the world, the Mayans believed that there is a future which lies beyond this date which will be the start of a New Era. Of course Some People are bound to point out that the ongoing Wars on Terror in Afghanistan & Iraq, The Tsunami which affected Banda Aceh and the Earthquake and Subsequent Tsunami which almost caused a Nuclear meltdown in Fukashima, Japan are evidence of the approaching Armageddon. But then Scientists will also point out that these disasters were caused by the movement of two Tectonic plates in the Earth’s crust, and that volcanoes & Earthquakes are part of how the Earth works.